ADVANCE TICKET INFO: Reserved Section - $21. General - $15. Children Reserved 6-12 - $11. Children General 6-12 - $6. Children 5 & Under - Free. DOOR INFO: Reserved Section - $24. General - $18. Children Reserved 6-12 - $11. Children General 6-12 - $6. Children 5 & Under - Free. 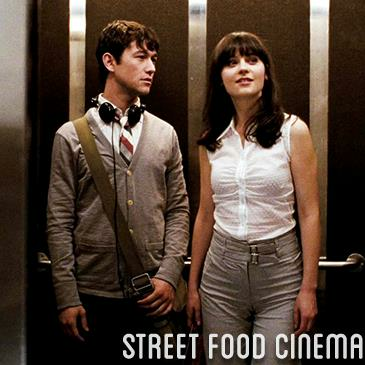 LIVE MUSIC: Visit www.streetfoodcinema.com/500-days-of-summer-la/ for the most current Live Music listing! FOOD TRUCKS: Visit www.streetfoodcinema.com/500-days-of-summer-la/ for the most current Food Truck listing! PARKING: Westdrift Parking Structure. Do not pull in hotel lobby - enter directly into parking structure. Rates subject to change. Structure not owned or operated by SFC.